The Tunturi Pure Core Trainer 8.0 is not just a Power Tower, but the ultimate multi-functional trainer for a complete body workout. I don't want to write too much . It's brilliant equipment for people which want to work out hard and strikingly. If you want to buy the Tower don't think too much just buy and then enjoy it! Everythink will be great. Sturdy, easy to set up, excellent product for the price. Good delivery service, fast and reliable. 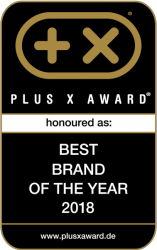 Perfect price-quality combination. The tower is very stable and at the same time does not require a lot of space. It really allows to make a lot of different exercises to cover all our needs (bottom abs tool was a pleasant surprise). Instruction is a bit tricky, so reserve around 3 hours for assembling. 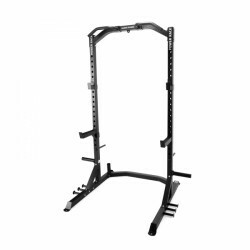 Chin-up units or dip units make a strength training with the own body weight possible. Bodyweight training is part of the Functional Training, because the motor interplay of muscles is supported besides muscle building and growth in strength. Chin-up units and dip units are the ideal training equipment for strength training at home due to an easy operation and space-saving dimensions. Own weight training or bodyweight training does not only positively effect the growth of muscles and strength; exercising with the body weight also presents an effective strength-stamina training and increases the performance for many other types of sport. 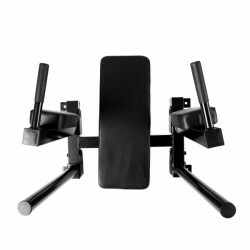 Dip and chin-up units can be effectively used for torso training and abdominal muscle training. Additional weights can be used for an increase in intensity of your strength training, i.e. weighted vests or wrist and ankle weights. Weight plates can also be used as additional weights for exercising with the body weight - by means of a chin-up dip belt. 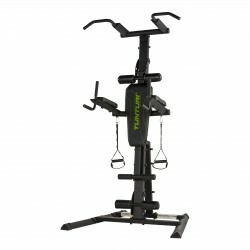 Dip and chin-up units like the Sport-Tiedje Power Tower offer a great variety of different strength training exercises. We recommend a chin-up dip unit of Hoist for intensive workouts and strong loads (chin-ups with high additional weight).